Over the past few years, the National Football League has become more pass oriented than ever before. This has forced organizations to spend valuable resources on the quarterback position, hoping to strike gold on a gunslinger with the skills to lead them to greatness. On the flip side, this shift in philosophy has made other offensive positions less valuable than they once were; more specifically, that of the running back. Given the punishment running backs endure on a regular basis, not to mention the short lifespan associated with the position, teams have started utilizing a “running back by committee” strategy rather tailoring their offenses around a tailback. As a result, in order to remain a fixture in a team’s offense, running backs have needed to become more versatile, making sure their skill sets involve more than simply carrying the ball out of the backfield. Which is why a “pass-catching running back” has become such a hot commodity in the NFL. Not all backs are known for their ability to catch the ball out of the backfield, however, the league has seen its fair share of RBs with great hands. With that in mind, here’s a look at the seven best receiving running backs of all time. While he’ll always be known for dropping what would have been a game-winning touchdown pass in the 1989 AFC Championship, judging Ronnie Harmon’s entire career as a pass-catching running back on that one play would seem to be a bit harsh. Over 11 years, Harmon managed to successfully pull in 582 receptions for over 6,000 career receiving yards … just not that one. 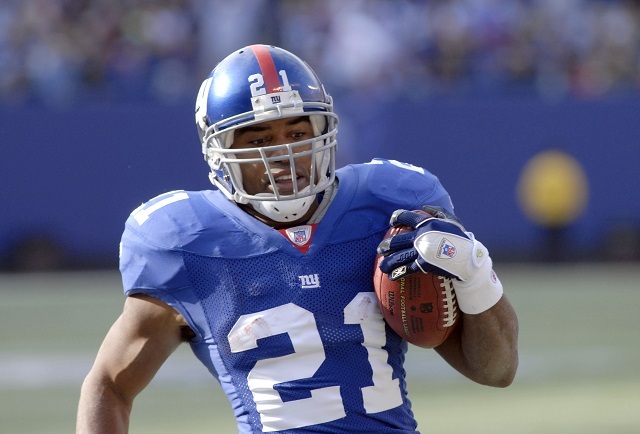 One half of the NFL’s Barber twins (the set being completed by his identical brother, Ronde), Tiki Barber was a three-time Pro Bowler who managed to rush for over 10,000 yards during his NFL career, but his pass catching would prove equally valuable for the franchise he played for — the New York Giants, who drafted him in 1997 and watched him break nearly every team record related to rushing — nabbing 586 catches over nine seasons. The original prototype, Marcus Allen was the first player to ever notch 5,000 yards in receptions while also earning a membership card into the 10,000 rushing yards club. The 15-year veteran, who started with the Los Angeles Raiders before finishing his career with the Kansas City Chiefs, ultimately compiled 587 catches (or a Tiki Barber plus one more, in technical terms). There are only four running backs in NFL history to have topped 600 receptions, and of those, only Keith Byars is their Ronnie Harmon — the guy who lost the ball that wound up losing his team the game. In that case, it was a fumble, his team was the Jets, and the Denver Broncos proceeded to hang 23 points on them in the AFC Championship game. He retired after that game, but not before a career that saw him perform wonderfully for the Patriots, Dolphins, and Eagles, notching 610 catches. Lawrence Taylor may be the “real” L.T., but the 2006 league MVP certainly did his initials justice over the during his time in the NFL. While playing the bulk of his career in San Diego, where his dual-threat capabilities complemented both a nascent Drew Brees and Philip Rivers extraordinarily well, Tomlinson went on to haul in a respectable 624 catches — although they were “only” for a total of just over 4,000 yards. This one was a given. 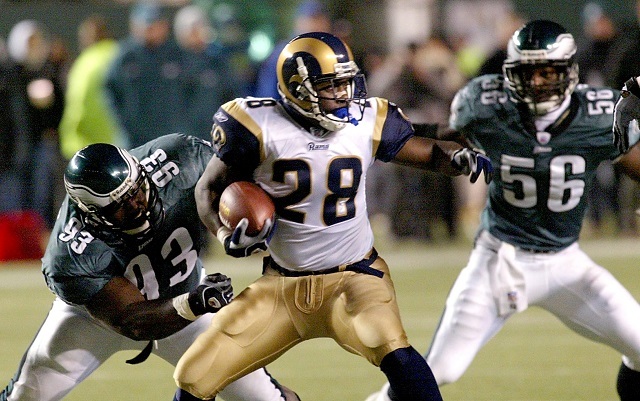 Most rookies step into the NFL and take some time for adjustment, but not Marshall Faulk, who put together one of the most impressive inaugural campaigns the league had ever seen, taking the first of many, many rushing steps toward establishing a Hall of Fame career. Ultimately, he would finish up having snagged 767 catches for nearly 7,000 receiving yards, averaging an NFL-best (among running backs) 39.1 receiving yards per game. 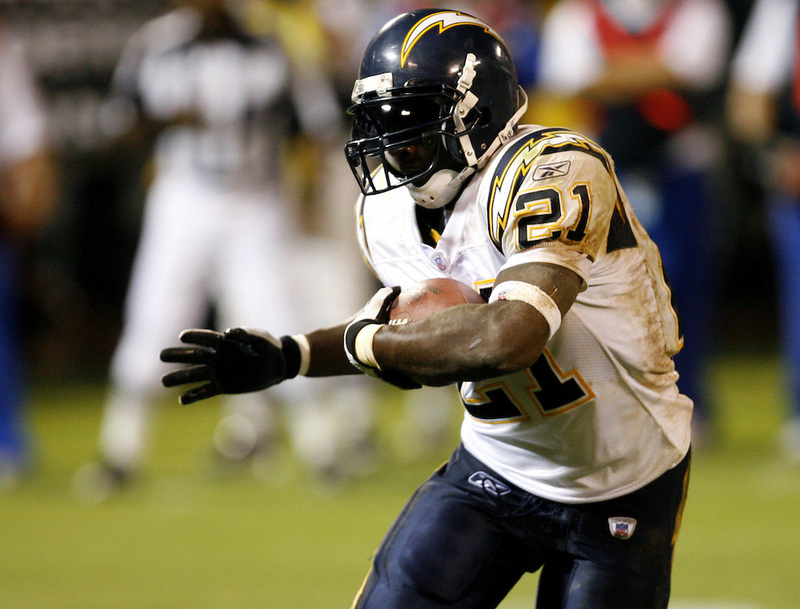 The best pass-catching RB in the history of the league, though, is none other than Larry Centers, who played from 1990 to 2003 and managed to pull in an astonishing 827 catches in his career. A three-time Pro Bowler and NFL Champion, he performed admirably (albeit in a significantly smaller role than in his prime) with the New England Patriots at the age of 35.